What Are Benzos and Can You Be Addicted to Them? Halcion, Xanax, and Valium fall under the same heading of drugs: benzos. You need a doctor’s prescription to get them. However, just like other medications, your body easily builds up a tolerance and can form a dependence. What are benzos, who needs them, and what should you do if you have an addiction to them? The term is short for benzodiazepines. This family of drugs offers patients relief from anxiety, insomnia, and panic attacks. These medications typically fall into three categories of half-lives. As a general rule of thumb, the longer acting a drug is, the longer it takes for effects to kick in. Halcion is an insomnia drug that works fast but only lasts for a few hours. Xanax is a mid-level drug that provides anxiety relief for several hours. Valium is among the longest-lasting medications and treats anxiety as well as muscle spasms. Benzos act directly on the central nervous system and manipulate certain neurotransmitters. How Does an Addiction to Benzos Start? When you use drugs repeatedly, your body builds up a tolerance to the chemicals. As a result, you have to take more to get the same effects. Since the medications activate certain neurotransmitters, it’s easy for brain chemistry to change and begin to depend on the influx. Therefore, when you stop taking the medicines, you experience withdrawal symptoms. 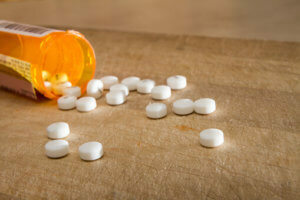 A drug addiction can also develop when you take benzos in an off-label manner for the sedative effect. Mixing these depressants with other drugs, in particular alcohol or opioid painkillers, can be life threatening. This practice, alongside taking extremely large doses, is what some individuals do to get the high they desire. That said, there’s help in the form of rehab. During detox, you overcome your physical addiction to drugs. However, to conquer the psychological aspect of substance abuse, you need rehab. Plenty of program participants present with co-occurring disorders, particularly anxiety. Because of this, working with therapists who can handle a dual diagnosis is of vital importance. Holistic therapies help you to increase your overall wellness. Options include chiropractic care and massage therapy. As you go through psychotherapy and learn about your reasons for using, you also discover how to manage your anxiety. This therapeutic one-two punch boosts relapse prevention in the future. What are benzos doing to your life? Whether you’ve used a benzodiazepine as prescribed or in an off-label way, 1st Step Behavioral can help you kick the habit. Don’t allow a drug to hold you hostage for another day. Call 866-319-6126 today to connect with an intake counselor for assistance!